I've been holding onto this one for a while but have decided that it's finally time to release the not really a secret any more. Especially as they have been working hard on new Autumn/ Winter menus and treats for all. 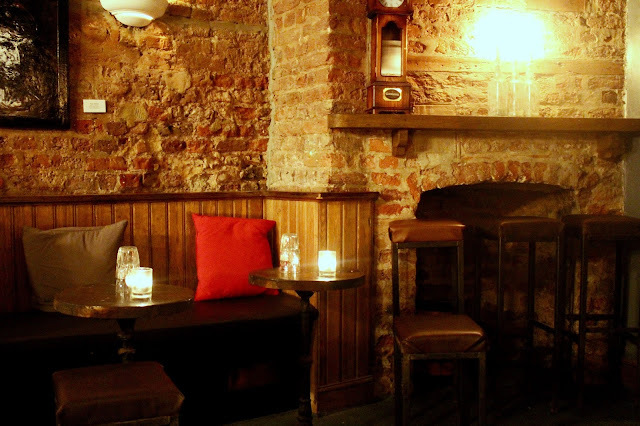 One to tumble down the rabbit hole into, beneath London's oldest whisky shop and through a carefully concealed bookcase door, you will find the well hidden Vault. 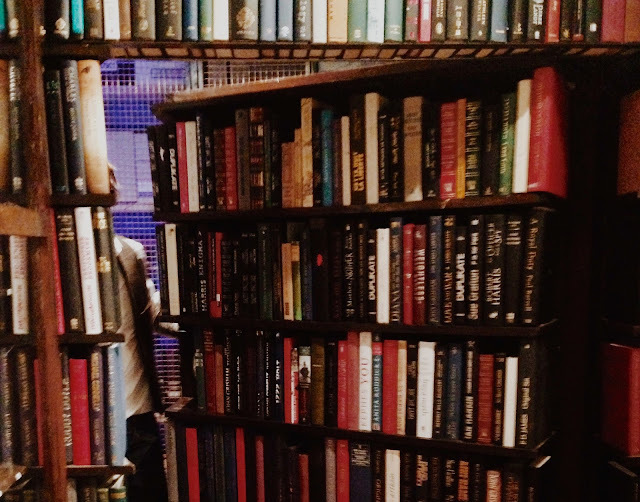 One of Soho's most delightful cellar speakeasy's, The Vault has brought a new lease of life to Milroy's Whisky Shop. When you emerge into the bar downstairs, you'll be engulfed in warmth and cosiness. Intimate (although able to seat 55), it's a good idea to call ahead (if your group is more than 5) to make sure your seats are saved. Martin "Simo" Simpson and his wondrous team have created a superb destination for cocktail enthusiasts, whisky newcomers and old souls. 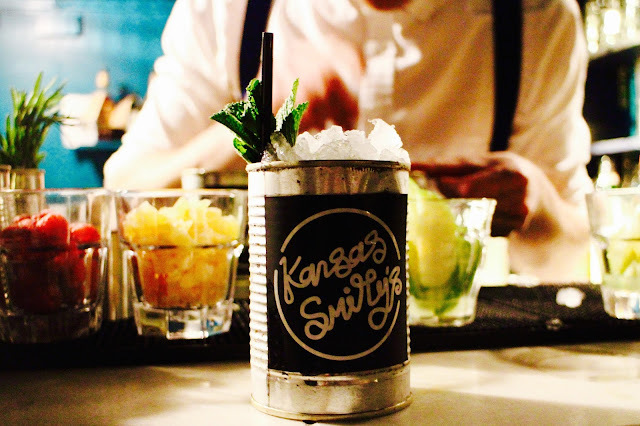 With homemade syrups, smoking guns (the Smoking Gun cocktail is one to look out for), classic and unconventional tipples there's something for everybody. Nestled inside the pages of old books that smell deliciously of way back when, are the tipples and topples (£9 - £12). 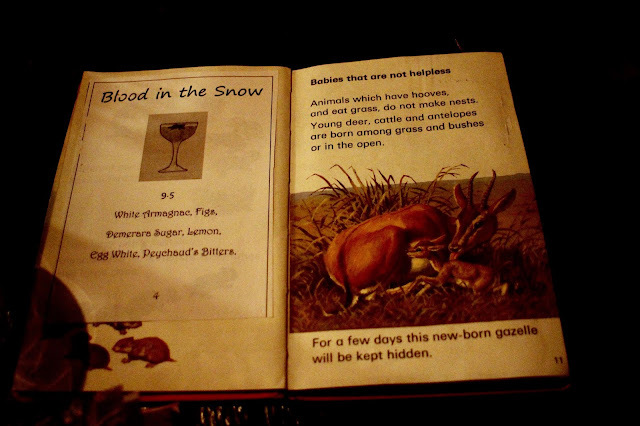 Carefully created, curated and concocted by the masters behind the bar, each cocktail is cleverly named and if you can guess the relevance I'm pretty sure you'll be firmly written in The Vault's good books. If you're starved of learning, read all about baby animals, nests and gazelles. 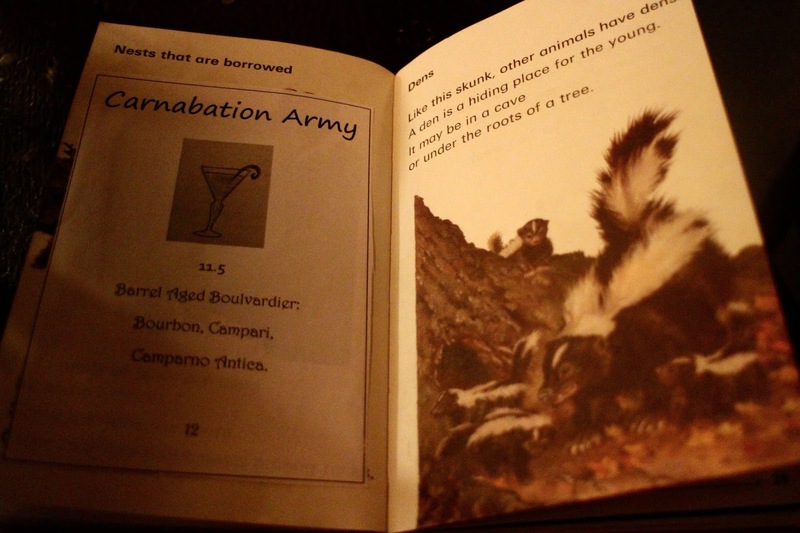 At least if your date is dull, you'll have something to distract yourself with. 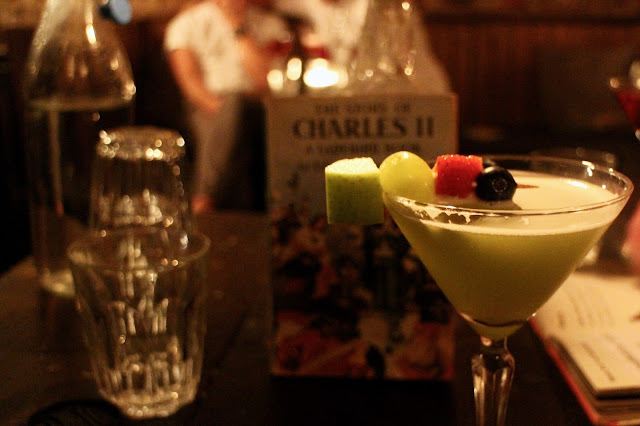 If you're lucky, you might get tales of Charles II and then you're really in for a treat! 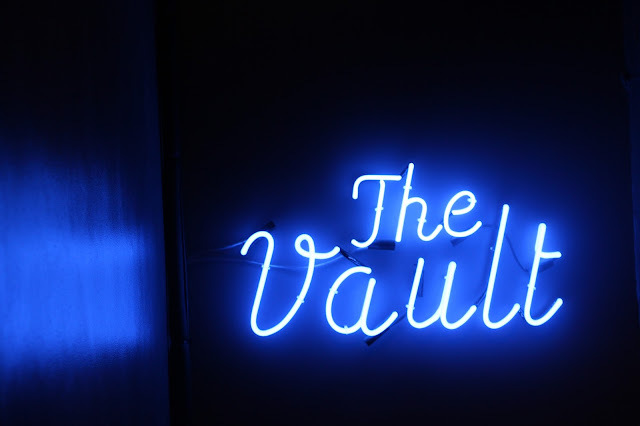 With London's myriad of underground bars, The Vault has firmly made its mark as the perfect spot to make yourself at home and return to time and again. 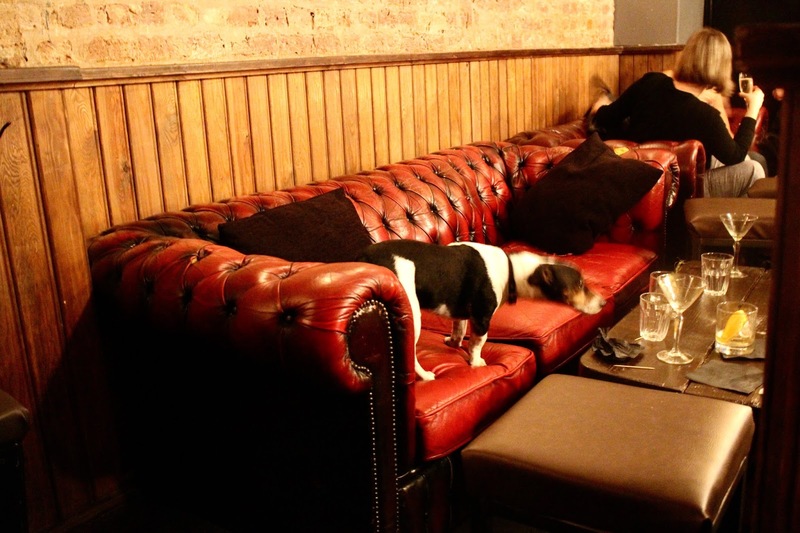 This proud pooch has taken control of the chesterfield but I'm sure he wouldn't mind sharing it! 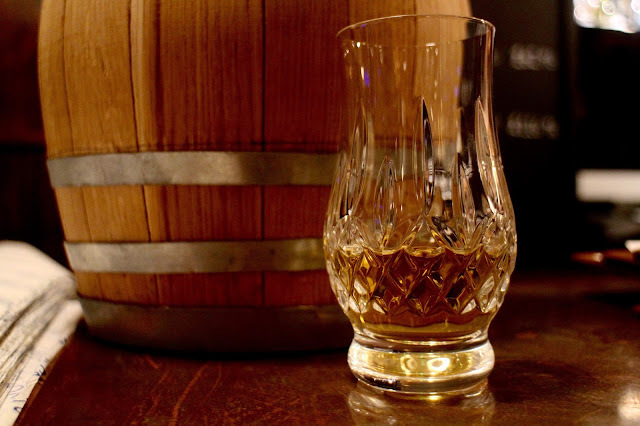 Before your night comes to a close (or indeed before your night starts if The Vault is at capacity), stop off for a cheeky dram at Milroy's (prices from £4.50 per 35ml dram). 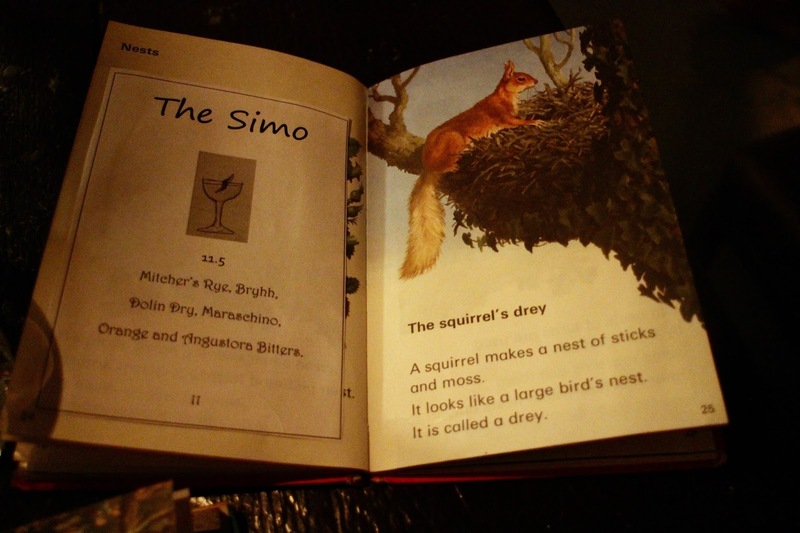 With over 250 whiskies from Scotland and around the world, the guys behind the 12-seater bar will help you choose and teach you a fair amount if you're up for a little tutorial, they have all the stories! If you fancy becoming a regular, they'll also keep your own bottle on site to enjoy. And hot off the press, The Vault have teamed up with town drool next door - Bo Drake, so when you get peckish, you'll also be able to taste some delicious East Asian bbq too! The bar staff at this place was professional and their drinks ensured us a fun night in the city. I can't wait to go back. Most of the negative elements of going to a more popular place are avoided here; the staff at event space Chicago was really mature and respectful.